These days, with poultry and meat prices rising, veggies are taking center stage at lunch and dinner. Our executive chef, Kevin Felice, has transformed simple veggies into beautiful main dishes. 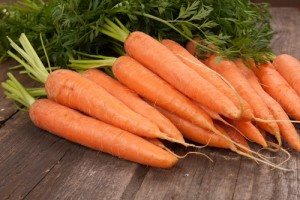 One ingredient we’re focusing on is carrots. At The Black Horse Tavern, we’re serving a creamy risotto with roasted heirloom carrots, sherry sweet cream, truffle oil, shaved asparagus and herbs. In recent years, vegetables have been edging out whole grains and meat in popularity because they’re low in calories, high in fiber and rich in nutrients. But you don’t have to sacrifice taste or satiety to eat vegetables for a main course. Consider preparing crabcakes that feature hearts of palm and corn instead of crab. Or try a summer vegetable casserole, which features Yukon gold potatoes, yellow bell pepper, onion, garlic, thyme leaves, plum tomatoes, zucchini and freshly grated Parmigiano-Reggiano cheese. Another great summer recipe is a quinoa veggie burger with roasted red pepper relish. It features a blend of carrots, celery, arugula, beans and quinoa, a high-protein grain with a nutty flavor.